The climax sequence of Nandamuri Balakrishna's 100th movie "Gautamiputra Satakarni" will feature 1,000 soldiers, 300 horses and 20 chariots. 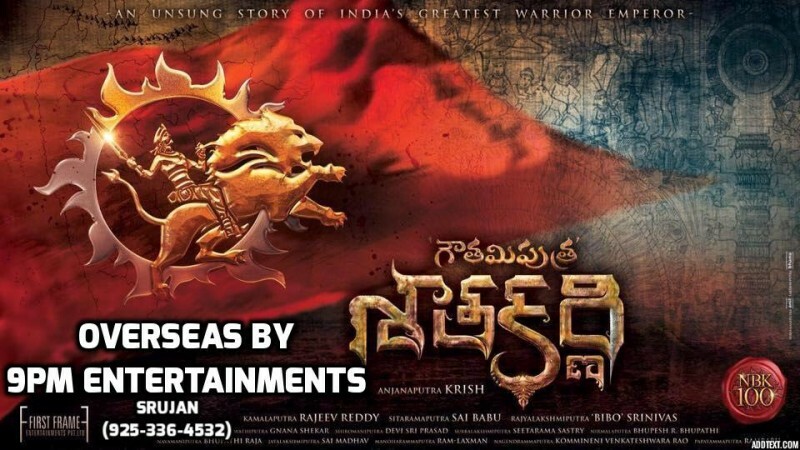 The makers of Balakrishna's 100thmovie "Gautamiputra Satakarni" have planned to use 1,000 soldiers, 300 horses and 20 chariots for the shooting of its climax sequence, which is to be canned in Georgia. It was recently reported that the team of "Gautamiputra Satakarni" is soon heading to Georgia, where they will shoot a war sequence to be featured in climax. The latest updates we hear is that this is going to be major episode, which features the hero Satakarni fight it out with Greek soldiers. Director Krish planned to use nearly 1,000 soldiers, 300 horses and 20 chariots for this scene. "Gautamiputra Satakarni" is a period drama film, which is based on life history of 2nd century CE, Satavahana ruler Gautamiputra Satakarni. The movie has three war sequences and one of them appears before the interval. The film unit has completed the canning of this sequence in the first schedule held in Morocco. The second war scene has been shot in Hyderabad. The unit of "Gautamiputra Satakarni" is making massive arrangement for the third war sequence, which is going to one of the major highlights of the movie. Director Krish says the movie will have a lot of computer graphics. The team will start shooting regular scenes after completing this scene. "We had planned the schedules accordingly. The first schedule included the war scene that appears before the interval and was shot in Morocco. In the second schedule, we shot the war scene that opens the movie in Hyderabad, in an expensive navy vessel setting. Now, with this third war scene in Georgia, we will complete the climax," Krish told Deccan Chronicle. "Gautamiputra Satakarni" is set to be the landmark film in the career of Nandamuri Balakrishna and the Nandamuri family fans have lot of expectations about the movie. Saibabu Jagarlamudi and Y Rajeev Reddy, who are bankrolling this project under the banner First Frame Entertainment, are leaving no stone unturned to make it huge success at the box office.